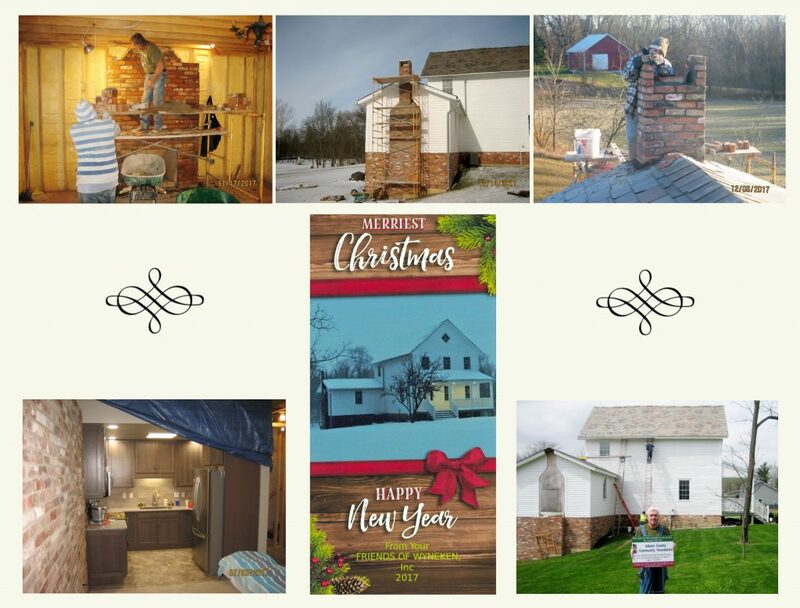 A lot of the most recent work has centered around the brick work on the kitchen chimney and fireplace and the walls in the lower level. Quite a challenge working with non uniform 150 year old bricks! A great addition that was also completed is the new modern kitchenette in the lower level. It will be utilized for public events. 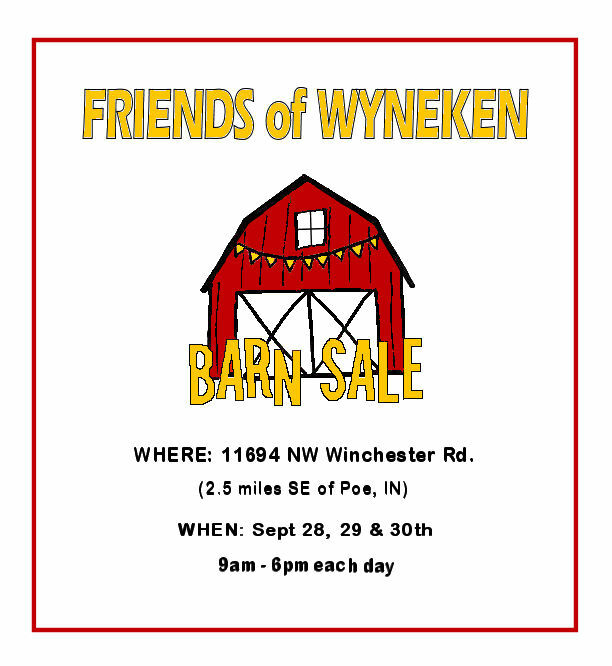 In September Friends of Wyneken got a surprise visit from LCMS President Matthew Harrison. He was in the area for a special 500 Year Reformation service. He wanted to see the restoration progress that had taken place on the house. He was very surprised how much the house had transformed since his last visit. We are very grateful and pleased that President Harrison took time out of his busy schedule to visit us and give support for our work in preserving and passing on the history of our Lutheran heritage. 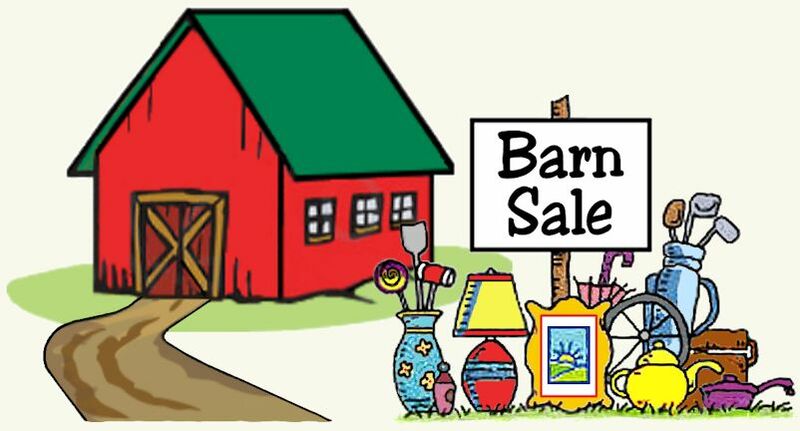 Fall is just around the corner and that means it is time for the FOW annual “Barn Sale.” Follow the signs to the red barn and browse around for some great bargains! After being absent for several years we are back at Kekionga Festival in Decatur, IN. On Saturday, August 19th we will be located in a tent at the Riverside Center area, serving our traditional German fare of bratwurst, sauerkraut, etc. 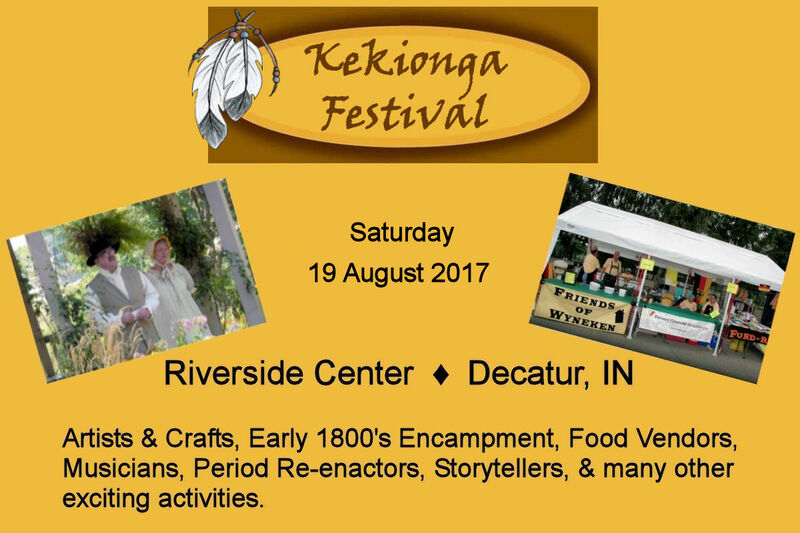 There are a lot of interesting things to see at Kekionga. So stop by, have a look around and then have a bite to eat with us. See you there! With winter behind us we have picked up the construction projects on the house. The basement has been the main focus with the installation of windows, the completion of the bathroom, and installation of a small kitchen. The exterior of the house also got new gutters. The original living area of the house is still a major work in progress, with walls and floors being the biggest challenge. 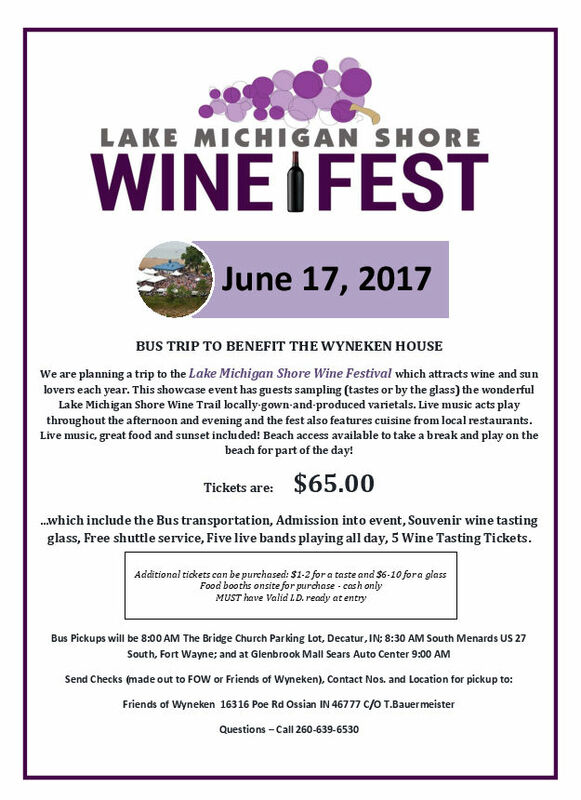 As always, we like to thank the talented craftsmen and loyal volunteers who have helped us in our endeavor to preserve and restore the Wyneken House. 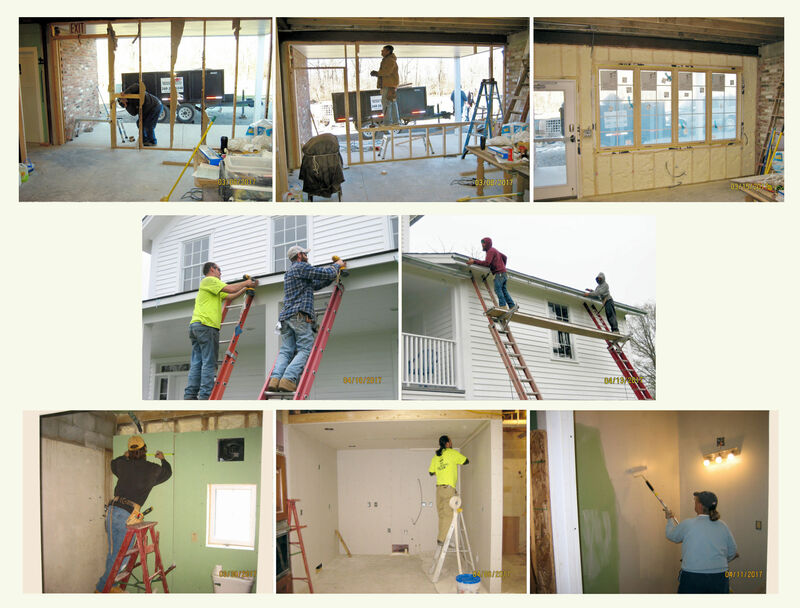 During the past month several major projects have been completed on the house. A new concrete floor was poured in the basement and a furnace was installed. Now we have some heat for those winter activities! Within the last few weeks the project to replace the bricks around the outside base of the house was beautifully done. It was a challenge working with Civil War era bricks that were created by hand. But the bricklayer stated it was a “good” challenge! We are so thankful for the blessing of wonderful craftsmen to help us in our heartfelt restoration project.